Submerged landscape archaeology is an under-researched field in Australia and represents a major opportunity to address knowledge gaps in Australian archaeology. Nearly one-third of Australia’s landmass was drowned after the last ice age and generations of people were displaced by sea-level change. This project will impact heritage and environmental management and underpin a future for growth in the marine heritage sector with benefits to Indigenous, business and research communities. This pioneering, multi-disciplinary study of submerged landscape archaeology in Australia is designed to investigate the records of the now-submerged Pilbara coast (spanning 50,000 to 7000 years ago). Information from drowned contexts will help address critical debates in Australian prehistory relating to past sea-level rise, population resilience, mobility, and diet. 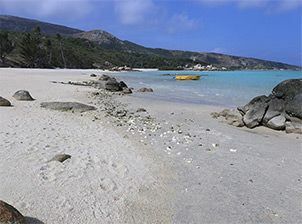 The project integrates cultural and environmental studies and contributes a unique southern hemisphere insight into world prehistory through material analysis and an adaptation of method from the world’s only confirmed submarine middens. 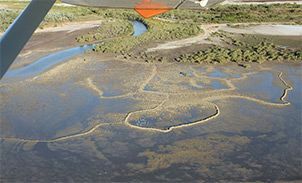 A suite of cutting edge marine and aerial survey techniques will be developed to investigate physical and cultural submerged landscapes.